Goal: Create a bridged WiFi station that redirects traffic from an ethernet port. 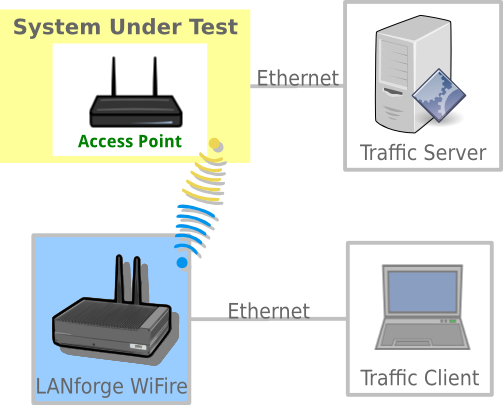 It is possible to use a system on a wired LAN to generate traffic through a LANforge virtual WiFi station. This example will show a Windows PC driving traffic across a LANforge CT520 STA to the associated AP. This is a useful scenario for driving custom traffic between traffic testing software endpoints distinct from the LANforge system. A virtualized Windows PC will work with this scenario. The primary technique in this cookbook uses a technique where the MAC address of the WiFi STA is spoofing the address of the Windows PC. It is also possible to use this technique with IPv4 addresses and not MAC addresses. However, using MAC addresses will allow IPv6 traffic to work. Find the MAC Address of the Windows PC. We will use MAC address 08:00:27:c4:4e:4f. This will be used when you configure the WiFi STA on the LANforge machine. Please set the IP address of the interface if it is not yet set. Configure your LANforge Wireless Station. We will be configuring the MAC addresses of a station to be the MAC address of the Windows PC we just found. 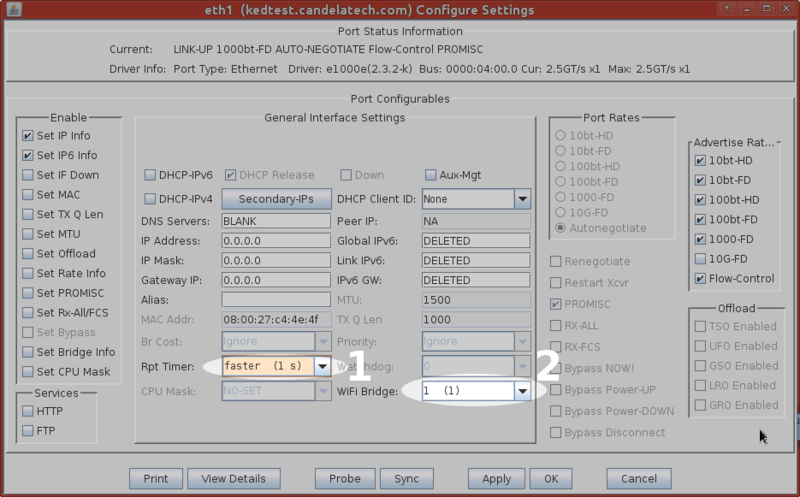 In the Ports tab, double-click on the ethernet port on the same switch as the Windows PC (eth1 in this example). Configure a WiFi station. 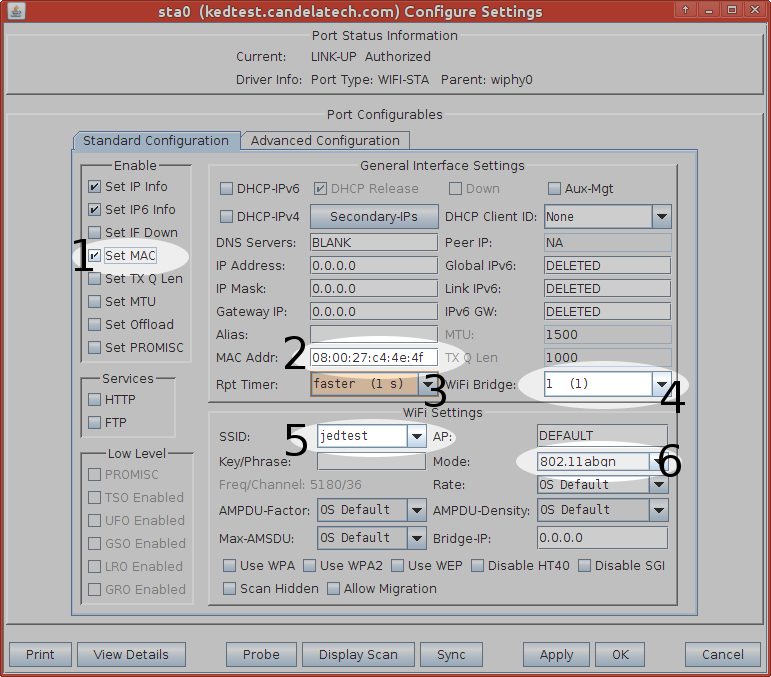 This example will be connecting to a WiFi AP with the SSID jedtest.